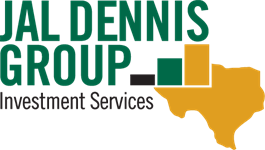 The Jal Dennis Group provides individual investors and small business owners with retirement planning and strategies that seek portfolio growth. Our mission is straight forward: to preserve and build our clients’ wealth through comprehensive financial planning and disciplined asset management. To fulfill this mission, we aspire to provide unsurpassed levels of client service and the highest standards of professional ethics and integrity. You can count on us to focus on exceeding your expectations with thoughtful financial insights and honest communication—the elements we consider essential for building lasting relationships. As an independent firm, our values aren’t just important to us… they are everything. We believe that through sound financial planning, investment management, and renowned client service, we can help more people pursue the financial freedom that their families deserve. At The Jal Dennis Group, our three core values of honesty, sincerity, and humility drive everything we do as a firm. They are the basis of every client interaction and exist at the foundation of every investment strategy and financial plan we create. We stand firm in our belief that every person, regardless of their financial position or stage in life, deserves to work with a financial advisor who truly cares about their success and confidence. We believe that financial planning is a process, not a one-time event. As a result, we communicate with you regularly to keep you informed of your investment performance and respond to any changes in your circumstances or priorities. Along the way, we make sure you clearly understand your financial options. We believe educating you about the benefits of careful long-term investing is a critical factor for confident decision-making and we take pride in being able to explain the most complex concepts in clear, easy-to-understand terms. And we are always available to respond to any questions you may have. We welcome the opportunity to speak with you about your wealth management needs and how we can help you pursue them. Please contact us to schedule a no-obligation consultation and discover the value of our objective advice, experience, and personal service.